Posts assigned to the top block on the Press page. Drinking and Driving. Using these two words in a sentence is an ultimate taboo for many Americans, as the long-term consequences and issues that occur from Drinking & Driving can have long lasting effects, both in your life and in others. Many people often drink and drive for a few central reasons; maybe they don’t think they are too drunk, maybe they don’t have another ride, or maybe they don’t want to leave their car behind. However, if people knew the real truth behind drunk driving, the thought of drinking and driving would weigh much more heavily on their heads. Every 53 minutes in America, someone is killed in a drunk driving crash. That equals around 27 people every day whose lives are lost because someone didn’t want to leave their car behind. In 2011, 9,878 people were victims of drunk drivers. 9,878 families lost someone they loved because a drunk driver didn’t want to pay taxi fare. 211 children were killed in drunk driving crashes in 2010, 62% of which were riding in the car with the impaired driver. Two hundred and eleven children lost their lives because someone in their family did not believe they were “too drunk to drive”. The statistics don’t lie and the bottom line is this; You should never Drink & Drive. However, we here at Blick Law Firm believe in the saying of which our nation was founded upon; innocent, until proven guilty. There are always exceptions to the rules and we are here to defend your rights as a citizen, and to ensure that you do not receive a DUI that you do not deserve, which may impact your ability to acquire jobs, drive, and ultimately impact your freedom as a citizen. Here are precautions to take in many situations where you may run the risk of receiving a DUI. Don’t put yourself in that situation. Don’t drive if you’ve had even one drink. The statement of “not feeling drunk” will never work, because of the legal limit being .08% BAC, for a large amount of people you will not feel drink even though you are past the legal limit. If an Officer stops you for something other than traffic violations, he may still arrest you on a DUI. You could have been driving perfectly and he pulled you over for a taillight, and if he suspects you may have been drinking he has the right to question you. A field sobriety test is a collection of simple tests to try and see if your coordination, balance, and other factors of your brain are impaired by alcohol. This test comes before the breathalyzer, and you have the right to refuse the test. There is no penalty for doing so. You have the right to refuse the first breath analysis before you are actually arrested. If you have had even half a drink in the last hour, refuse the test. You may not, however, refuse the second test, which occurs after your arrest. This test either requires a blood test or a breath analysis, and is legally binding. Always be kind with the officer, no matter what your personal opinions or beliefs may be. Be careful with how you answer his questions and mindful of the consequences. You are under no obligation to get the officer more information than what is one your driver’s license. BAC and alcohol tolerance do NOT go hand in hand.If you can take five shots and feel fine, that does not change the fact that your BAC is way above the normal limit. Don’t assume because your tolerance is high, that your BAC is as well. In the end, always remember the risks you take if you choose to drink & drive, and that it does not only affect you, but everyone around you as well. One paid cab ride, while seeming expensive and an inconvenience, equals out to much more than the years of fines, grief, and regret that come alongside a possible DUI charge. 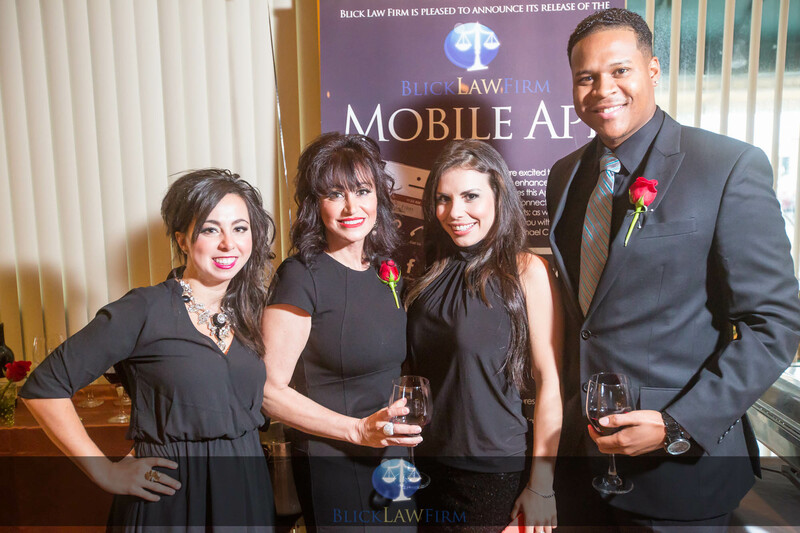 If you or someone you know ever find yourself in need of legal advice or counseling in regards to DUI’s or any other cases, remember that Blick Law is here to help you every step of the way at 813-931-0840. Have you ever been the victim of a DUI? 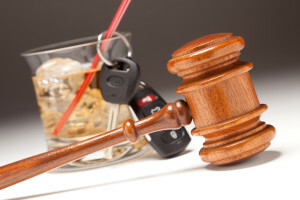 Do you have an opinion on DUI laws and how they impact our lives? Share your opinion or story in the comment section below! Drug reform and policies to keep our country drug free have been a constant trend in our country for over 100 years. During the 60s illicit drug use became a symbol of youthful rebellion and political resistance. In 1971 president Nixon started the famous “War on Drugs” declaring drug abuse as public enemy number one. With a national culture of zero tolerance for illicit drugs, there’s no mystery as to why recreational marijuana has not been made legal by the federal government. 23 states and the District of Columbia have legalized Marijuana in some form. Colorado has visitors come from all over the world who book “marijuana tours” that allow them to sample different varieties. In our nation’s capital it is legal to smoke marijuana recreationally and possess up to two ounces, however federal employees in DC are still subject to the federal laws. Many states where marijuana is not legal have also decreased the penalties associated with marijuana. Aside from its recreational uses marijuana has been used for medical purposes as well. Many people vouch that along with chemo therapy and proper diet cannabis oil is proven to reduce tumors and in some cases cure cancer. There are numerous cases of parents risking their freedom to obtain the drug for their child who is sick with cancer. The common attitude in cases like this is that the quality of life brought back to their children through the cannabis oil is worth the associated risks. Here in Florida this past November amendment 2, which was for the legalization of medical marijuana, did not pass. The amendment got a majority vote but not the 60% that it takes to pass in our state. In a state where medical marijuana is legal you go to your doctor who prescribes you a “marijuana card” which allows you to purchase marijuana from an authorized dispensary. 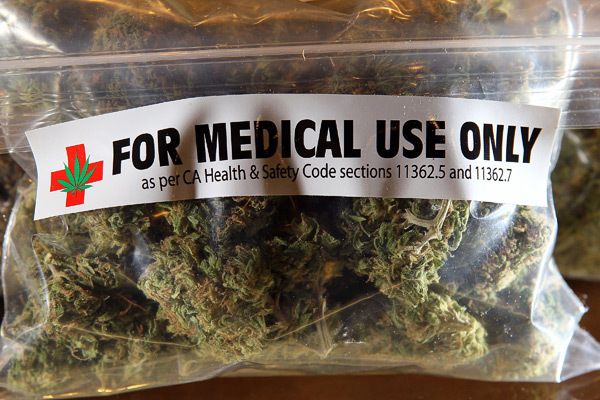 Medical marijuana is used to treat muscle spasms, nausea and lack of appetite associated with chemo therapy. It’s also been correlated with reducing seizures, and the symptoms of Crohn’s disease among other things. Since it has been in use marijuana has had no documented instances of death from overdose. You’d be hard pressed to meet someone who doesn’t believe in the concept of time. Some argue that time is all we really have, and yet, it is hard to imagine what time really is. All we seem to know is that time has this dynamic effect. It works slowly, at a nearly unobservable pace, and yet, it can have such a profound effect on our lives. These profound effects are what we do observe and indicate a focal point of change. No more is this profound effect evident than in today’s political climate. Policy upheaval and constant reform is the mantra of today’s political scene. Relatively speaking, current politics has been one of the most dynamic in decades. It seems like every day people are daring to ask the question why? Challenges in the sector of marriages, drug policies, gun control, healthcare, immigration and racial equality are very relevant and contemporary topics in todays political battlegrounds. To top it off, President Obama has been making quite the stir. He promised change in his election campaign and is delivering with radically expedited policies in the second half of his second term. Starting with the healthcare act, President Obama has been spearheading campaigns to revolutionize social and political policies. Just recently, he delivered news about a new immigration plan that was to be enacted. The plan gives amnesty to countless illegal aliens that have been living in the United States and outlined a course of action that could be taken to legitimize themselves and their family. Continuing his crusade, President Obama announced that he is planning on lifting restrictions to Cuba and ending the decade long strife between our two nations. Furthermore, he has indicated his intentions to forge relationships with Cuba that will hopefully unite our two countries under common grounds. Flashback to the Cold War days…. America then is very different from America now. The Cold War tore our relationship with Cuba asunder. Fears of communism taking hold so close to home lead us to believe that we had no other choice than to isolate Cuba. According to Obama, the policies enacted then, were done so with the greatest intentions. They, however, are no longer relevant. It is time to open up to our neighboring country. Too long have families been split, unable to reunite. The president believes that by opening ourselves to Cuba and letting families reunite, the Cuban-Americans will bring democracy with them, being the ambassadors and torch bearer of freedom. I believe these new policies truly reflect the changing notions that people once had on these topics. We have evolved tremendously from where we once were. Like our democratic system encourages, we constantly improve our policies and broaden our understanding of what equality really means. Demolition our imagined “Berlin Wall” with Cuba could have tremendous consequences on immigration for families. To understand how this news could affect immigration policies consult with one of our attorneys Call us today at 1-888-973-2776 or at our website, link found below. Now more than ever is a great time to open up a small business. The economy is slowly recovering and there is much potential for growth for people who take the opportunity. I know you, just like many others, have had this burning idea. Your idea seems to have limitless potential and yet you are afraid to execute it with gusto. You think that you can bide your time until a more opportune moment when you have more money and resources to put into the growth of a business. Although the move is considerably more conservative, you may be missing out on the best time to open up a small business. Many lenders are offering great loan packages for people with a startup idea and a solid business plan. Often times, these loan packages have very reasonable rates that allow borrowers to worry about making their business plan happen rather than stress about the skyrocketing interests that’s being added to their principal. So, how do you open up a small business and what kind of business entity should it be? There are many types of business entities out there. You can create a limited liability company, sole proprietorship, cooperative, partnership etc. There are so many different types of business models that you can choose from; the right one for you depends on the kind of business you want to create and how you wish to operate it. It is very important to understand the types of business entities and choose the proper kind that will fit the needs of your company. So, how can you be sure, you’ve chosen the right model? I would recommend seeking counsel from an attorney to review your company docs and the business plan. An attorney can give you great advice on opening up a business entity as well as preparing the documents you will need to properly register your company. Remember, if your company isn’t established the right way, you could be subject to serious consequences or be unable to sell and receive profits from the company because you aren’t authorized. Michael C. Blickensderfer is the senior attorney at Blick Law Firm. As an attorney and owner of both Blick Law Firm and Infinity Abstract & Title, he is very aware of company models and how to properly register a company. He can provide feedback and counsel you on the type of model you might prefer as well as giving you the positives and drawbacks of each. It’s baffling to think that technology has evolved so much in such a short amount of time. Recall the days when dial-up was the most common form of internet access. We used to wait idly as the pixels appeared line by line. Now, pages populate instantly and we are able to stream videos and other various forms of media. Internet speed has become so fast that people regularly consider downloading speed and uploading speeds to determine quality. It’s funny to think that people actually go to the beaches or other remote places in the continental United States and complain about the lack of 4g LTE that is available. The emergence of smart phones, tablets and other portable devices has revolutionized the way we obtain information. Everyone with a smartphone is essentially connected to a sea of digital information the likes of which are greater than any book ever written. The implications of such access are hard to grasp. Consider this; the internet has more information than the great library of Alexandria. Can you imagine? Each one of us with a smart phone or a tablet is essentially linked to a library so vast that it is impossible to sift through all the information in one lifetime. Of course, being connected to such information at all times has changed our perception of quick access and our notions of acceptable waiting times. We are a more informed and educated public. We want quick access to information and utilize search engines to quickly answer any questions we have. Blick Law Firm is a company that is staying current with changing trends. We are a dynamic firm dedicated to providing transparency for our clients and their transaction. We understand that people are expecting to obtain information and updates in an expedited manner and we are here to provide it. To stay on the cusp of the technology frontier, Blick Law Firm launched its mobile application. The company recognizes that people want instantaneous updates and information, on-the-go, through their mobile devices. 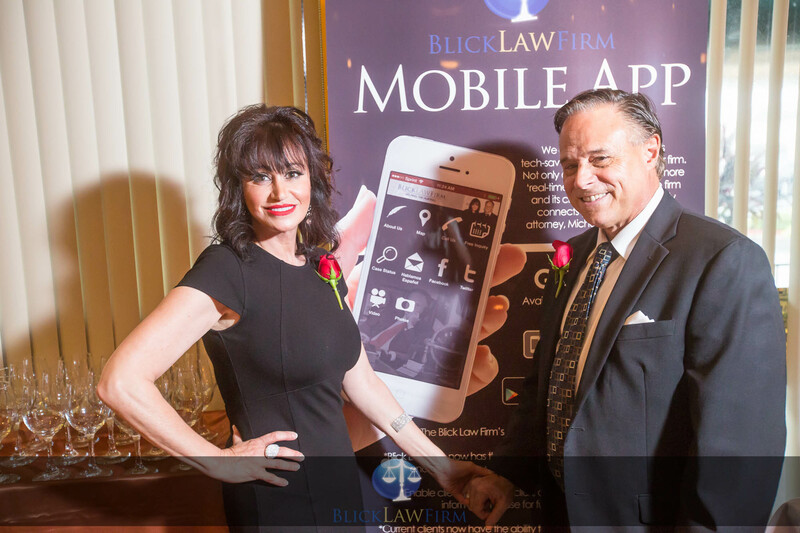 The mobile app is the medium and interface synchronizing our clients with our attorneys. Our app allows people to get current and live updates on their file. Not many companies can boast having a mobile app that instantly gives clients direct communication with the senior attorney. To download our mobile app read the following instructions…. Its 5 p.m. and everyone is rushing to get home. 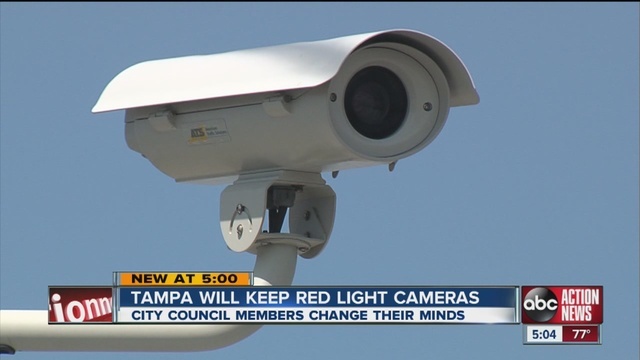 Traffic is chaotic and you are at one of the busiest intersections in the Tampa Bay area. To make things worse, you are straggling behind a bus and side-by-side traffic prevents you from moving over to another lane. The bus stops to let out some passengers; again, you are forced to wait for the hordes of people exiting the public commuter. This time, however, you realize that you are in the middle of the road and have unintentionally gridlocked the intersection. You sit uneasy, waiting for the bus to start moving again and free you from your awkward disposition. Like showers that have been cued to rain, when someone says “things could be worse”, the intersection lights begin to phase between colors. First the green light changes to yellow and all too sudden yellow becomes red. From the background a bright light illuminates the scene like lightening striking. Say hello, because you are on candid camera. The red light camera has been one of the most controversial pieces of equipment used by traffic enforcers. Despite a multitude of complaints and issues, advocators cite the incidence of reduced fatalities at major intersections where cameras have been incorporated and frequently appeal to people’s emotions. As a result, many people have been issued an unfair traffic ticket citations for being in an unfortunate circumstance. Traffic citations can be extremely stressful. For people who are living paycheck to paycheck the fee for a ticket can be a huge setback forcing them to decide between paying the bills or the ticket. In addition to the initial ticket cost, people are forced to go to traffic school to avoid receiving penalties on their license which is another incurred cost depleting both time and money. Regardless of doing these things, the insurance company may still choose to raise their premium forcing them to suffer through the residual outcome of their messy situation. Taking your traffic ticket to court could save you the hassle of going through these steps. Winning your case could mean no ticket payment, no traffic school, and no increased insurance premiums. Best of all, your traffic violations could be expunged from your records and there is no history of offenses. There is no guarantee that you will win your case. It is important to have a Criminal Defense lawyer who is aware of the minutiae of traffic law to guide you and give you the best advantage. Some cases allow you to plea for a settlement that reduces the costs and penalties associated with traffic tickets. These matters are best discussed with a traffic court attorney. To schedule a consultation with an attorney, in good-standing with the bar, Think quick, Call Blick!